The very name, Nagbhushan Patnaik symbolizes the revolutionary spirit of the Naxalbari and the Srikakulam armed struggle. A senior politburo member of the undivided CPI (M-L), Comrade Patnaik was sentenced to death in connection with five murder cases. Later it was commuted to life sentence. 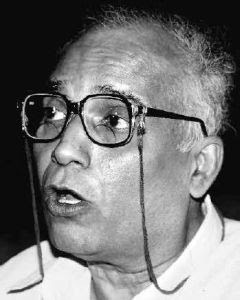 After the disintegration of the original CPI (M-L), Comrade Nagbhushan criticized the central line of the CPI (M-L). He was one of the signatories of the famous ‘Jail Letter’, that was based on Chou En-lai’s 11 Point Suggestions. In his later years, comrade Patnaik joined the Liberation faction, and became one of its polit bureau members. He advocated the utilization of the parliamentary rostrum in a Leninist fashion in direct contrast to the boycottist nature of the undivided CPI (M-L). On 9th October, 1998, Comrade Patnaik died at a private hospital in Chennai due to renal failure.